?If you were born with your SUN IN ARIES, your energy and enthusiasm propel you through life.? Not one to get stuck in a rut, you?re always looking for new adventures and the thrill of a challenge.? You are self-sufficient because it?s fairly easy for you to know who you are and what you want. Your instincts are a strong guide and it?s important for you to do things your own way.? Others often look to you for leadership because of your strength, courage, and decisiveness.? Your willingness to take risks combined with your resilience ensures that you make the most of any opportunities that come your way. The year of 2015 promises to support your efforts to transform, improve and achieve.? 2015 may feel like a culmination of the past few years and there is the chance to see some real results from work you?ve put towards a long-term goal.? Seizing the moment and being willing to take risks will be encouraged. Focus on where you can take charge of your personal power and confidently move forward, even when you are not 100% certain of the outcome.? The available energies can help you to set yourself free from limiting situations and follow your passions.? While you may be feeling strongly about your ideas, you will have a lot to gain through collaborations with others. PLUTO is in Capricorn and continues to square your Aries Sun throughout the year.? This year puts an emphasis on reclaiming your personal power and releasing limiting beliefs.? There may be subconscious messages you?ve been telling yourself that are actually preventing you from achieving your goals.? Pluto encourages you to dig deep and face your fears head on.? You could find the most success by taking more responsibility and stepping into a leadership role.? In doing this, remember to be respectful of existing authority. It will be a good year to bring hidden dreams and aspirations into public view.? The fact that others are aware of your goals can help to feed your passions and motivate you to achieve more than you thought you could.? Pluto calls for transformation, so be open to releasing old ideas of what you thought you wanted in lieu of deeper desires for leading a fulfilling life emerging.? If you were born April 3 ? April 6, of any year, you?ll be most likely to feel compelled to let go of limiting fears and fulfill your potential with strength and courage. URANUS CAMPAIGNS FOR NEW ALIVENESS! ?URANUS will continue through your sign, creating an energizing and sometimes restless effect.? You?re not apt to stick to your old routines.? Instead, you will feel an urge for change, creativity, and freedom.? You may be drawn to anything that seems new, exciting and out of the ordinary.? Uranus is encouraging you to experiment so that you can find your own unique style.? The more you can forget about what other people will think and listen to your inner voice, the better. Sudden changes may occur and they won?t always be in your control.? Your best bet is to look for the opportunities in any unforeseen situation.? If you were born April 3 ? April 11, of any year, you?ll have the potential for major life changes. ?SATURN will spend the first half of the year in Sagittarius, trining your Sun.? This can be a motivating energy that is especially helpful for getting to work and putting your ideas into practical action steps.? You?re likely to experience the most growth through some sort of classes or studies with a mentor.? Set your aims high, as there will be powerful forces available to push you towards success. The harder you work, the more you can expect. 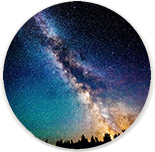 From mid-June to mid-September, Saturn will have retrograded back to Scorpio which can turn your attention inward.? It?s a good chance to do some self-reflection and adjust your course of action as necessary.? From mid-September to the end of the year, Saturn will return to Sagittarius and offer a ?second wind? to sustain any long-term efforts.? Those Aries born March 21 ? April 2 will feel the most pressure to go for their goals. JUPITER will remain in Leo, trining your Sun through August 11.? You?re likely to enjoy, and perhaps profit from, your creative expression.? It?s also a fortunate time for romance and conceiving a child. Aries born April 3 ? April 20 will experience the most gifts from generous Jupiter during the first eight months of 2015.? From August 12 to the end of the year, Jupiter moves into Virgo where it offers good luck and opportunities to improve your work, health and wellness. Releasing fears combined with good old-fashioned hard work will be your keys to success.? The energies are encouraging you to challenge yourself and accept more responsibilities.? Look for leadership opportunities, but don?t think you have to do it all alone. Partnerships and mentors can prove highly valuable.? Your best strategy is to remember to take the position of the other person into account in moving forward.? By being willing to admit what you don?t know, you can fully receive all the new information that will be available to you.? You?re likely to surprise yourself with how much you can accomplish this year! ?You instinctively know where you stand on all matters.? But where do others stand?? Your best bet for success in 2015 is to turn your attention to becoming aware of what the other person values and see if there is a way to work together as a team.? Are their values and life goals similar to your own?? Are they a suitable partner for you?? In 2015, the approach of working with others as a ?team? will be key to your personal success. Utilize your leadership skills wisely.? Being a good leader involves negotiation and compromise.? Sometimes your greatest leadership skills lie in your ability to ?fire others up? and in giving them the confidence to make progress in their lives!? By getting to know yourself better, you can feel comfortable setting boundaries and respectfully asserting yourself.? Don?t let unexpected circumstances discourage you.? If things don?t go as planned, look for hidden opportunities and be flexible. Through mid-November, the energy will support collaboration and partnerships.? You can experience the most success when you make others a part of your plans.? From mid-November to the end of the year, there will be an emphasis on creating order, sticking to your goals and paying attention to details.? It?s a great time to come out of denial and tackle any problems calmly and systematically. The best way to navigate this year is to reach out and seek to create positive results though uniting with others in partnership.? The Team Effort is what will take us through and create a victory in 2015?both on the personal and global level.? We may not have control over the global, but in our personal worlds we can begin practicing the habit of being more tactful in our speech, taking the viewpoint of the other person into account. ?We can unite with peers of like mind and work together toward a common goal.? We can behave more lovingly, especially with the people closest to us, thus creating more love in our personal world.